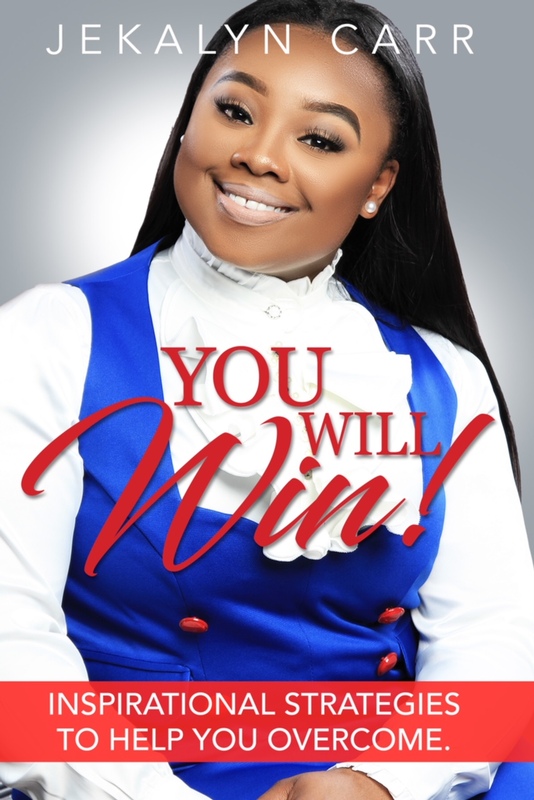 Motivational Speaker, Grammy Nominated Singer Jekalyn Carr is a Powerful Millennial Using Her Voice to Lead Change With New Book YOU WILL WIN! With so many young people leading movements and speaking truth to power, it is not hard to believe that at just 20 years old Jekalyn Carr is an experienced motivational speaker and new author, leading her peers to their best lives. Carr, a Grammy nominated singer, has led a winning life since the age of 13, when she began sharing her motivational words with audiences nationwide. In Carr's first book “You Will Win! : Inspirational Strategies to Help You Overcome” she offers readers inspirational messages to help them conquer their storms, live in victory and maintain a winning attitude. Based around 14 principles to follow and apply along the path to winning, this book calls for readers to have Intent, Faith, Patience, Perception and more, to become a winner. Carr also offers 7 ways to win and 12 habits for a win. The book is now available for pre-order everywhere books are sold. “You Will Win!” The single has done amazingly well, reaching #1 on Billboard’s Gospel Airplay chart and remaining #1 for 6 weeks in a row.